How Do You Find A Killer Who Doesn't Exist? 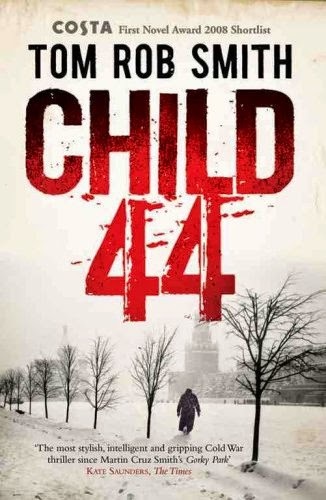 One of the titles on my list of Books to Read BEFORE You See the Movie is Child 44 by Tom Rob Smith. 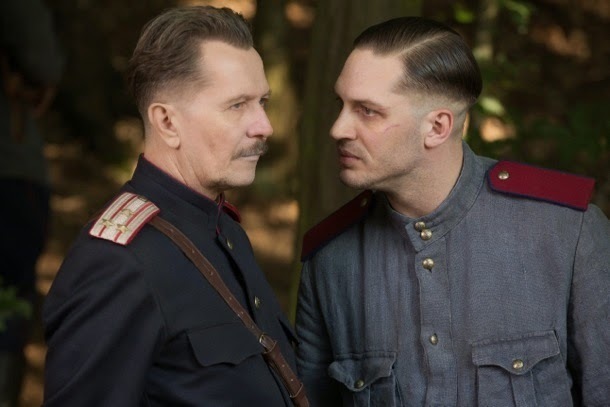 Besides the fact that the novel is loosely based on a real world horrible serial child killer operating in the Soviet Union during the Stalin Era, I know nothing except that Tom Hardy plays Leo Demidov, a policeman —who has a couple of freaky looking scars marring the left side of his face — assigned to the case. In the interest of full disclosure, I have NOT read the book, but I bet some of you have. Would love to know what you think of the upcoming adaptation costarring Noomi Rapace as his wife, Gary Oldman as one of his superior officers, Joel Kinnaman (The Killing), Charles Dance (Game of Thrones, The Imitation Game, Pride and Prejudice and Zombies), Jason Clarke (Zero Dark Thirty, The Great Gatsby) and Dev Patel (rumored). 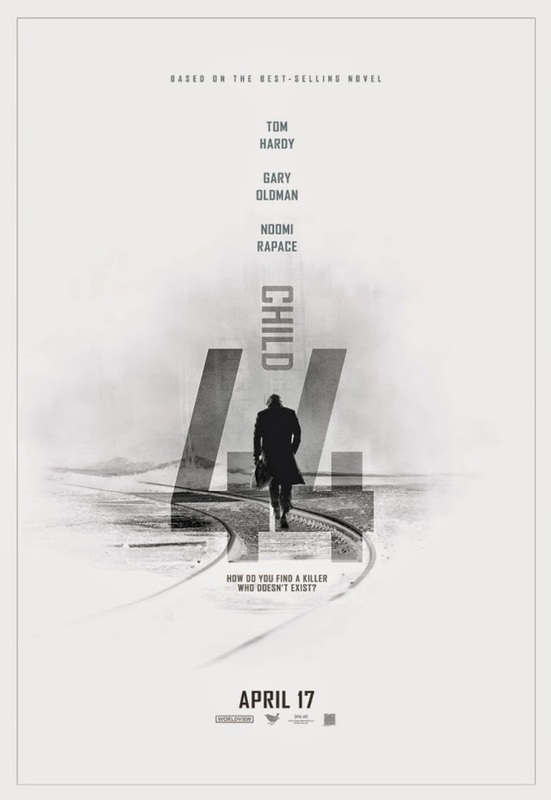 Child 44 is directed by Daniel Espinosa (Safe House, Easy Money) from a script by major Hollywood writer Richard Price (Clockers, Ransom, Shaft, The Color of Money, and The Wire). That's a lot of major league talent, very familiar with the genre, and tone. 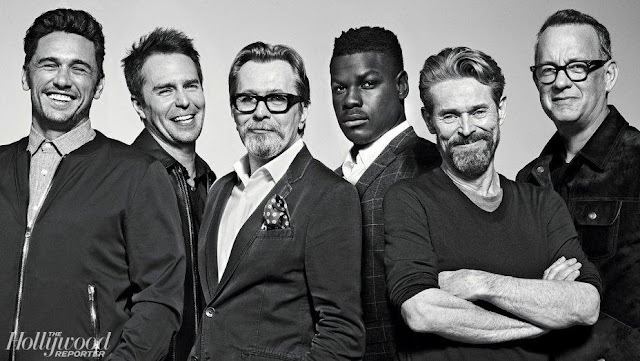 They've just released this first poster, all moody grey tones. Child 44 is set to hit theaters April 17th; hopefully the poster release means a trailer is on the way.